Jamie Patrick is an endurance athlete who loves the water. 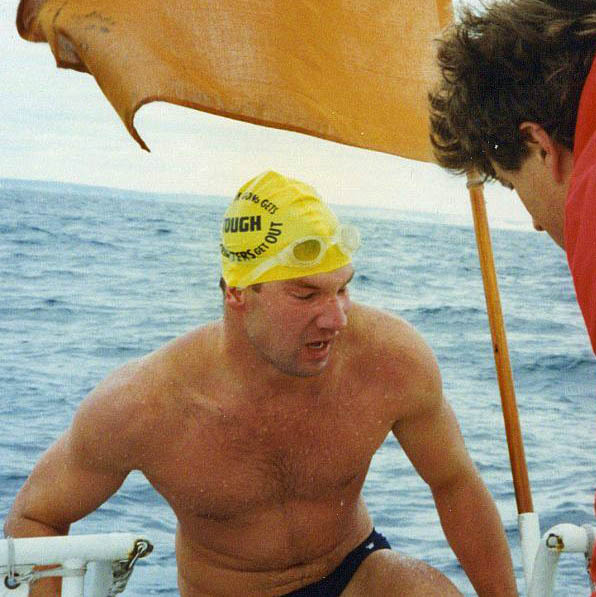 He has completed 15 Ironman Triathlons, a triple Ironman, and numerous long swims, including a 44 mile double crossing of Lake Tahoe and a 111 mile swim down the Sacramento River. On August 31, 2012, Patrick will attempt a solo swim around Lake Tahoe without stopping. Patrick will have a crew of 12 to assist him. He will be wearing a wetsuit for this swim. He expects the swim to take 40-45 hours. There will be no sleeping, holding on to a boat or exiting the water during the swim. There will be two night swims to complete the distance. He will be guided by two kayaks, and a boat will follow for support and supplies. The start/finish for the swim is Commons Beach in Tahoe City; 4:00pm start time. Due to high winds and chop on the water, Jamie was unable to complete his swim. He swam about half way in 24 hours before calling it quits. News video of Jamie Patrick's Sacramento River Swim.